A pair of siblings, seven year Herber and ten year old Diana Yacab were the victims of a traffic accident on Boxing Day. The duo was hit by an SUV heading towards Belize City as they crossed the highway to welcome their mother home last Friday. 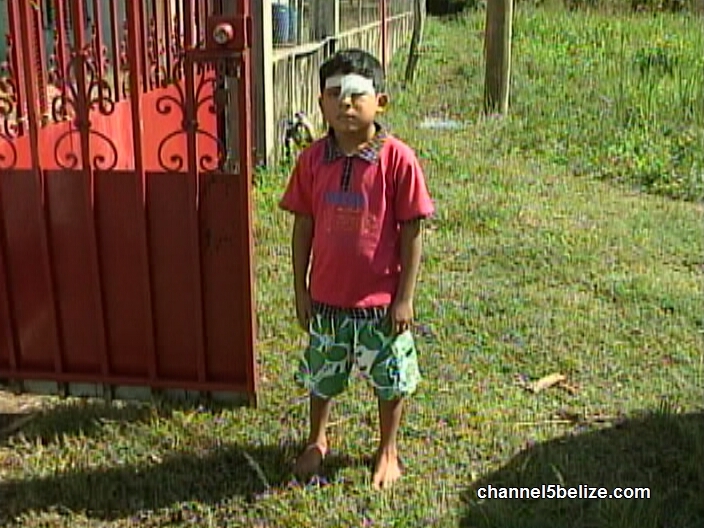 The vehicle was driven at the time by Rodolfo Mendoza, of Duck Run Three in the Cayo District, who by all accounts could not avoid hitting the children. Herber received injuries to the forehead above the left eye with abrasions to the leg, but it was his sister Diana who was badly injured by the impact. She received two large cut wounds to the head and forehead and abrasions to various parts of the body. They were both rushed to the Western Regional Hospital where Herber was treated and released, but Diana remains hospitalized. News Five understands that she is bleeding internally and has acquired an infection. According to Officer Commanding the Belmopan Police Formation, Mendoza has since been served with a notice of intended prosecution.